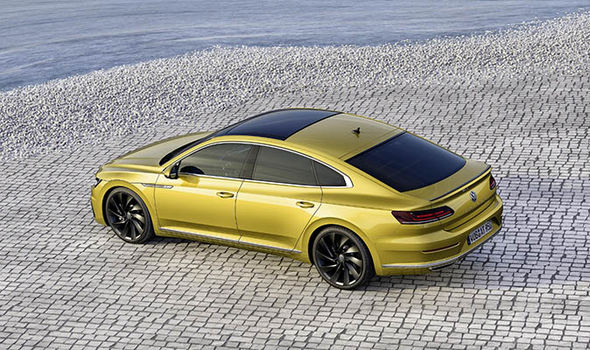 VW has unveiled the Arteon a five-door fastback that sits above the Passat in manufacturer’s range. The car initially made its debut at the Geneva Motor Show 2017 in March. 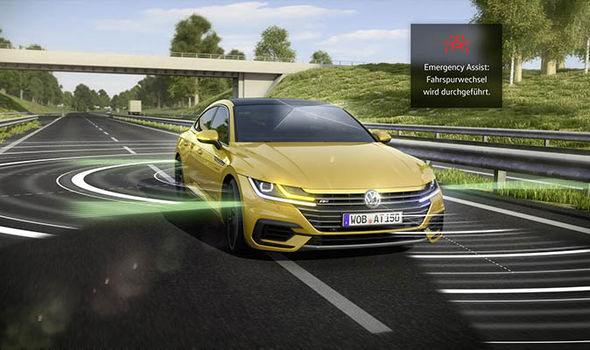 One of the most interesting features on the new car is a driver assistance systems which includes an autonomous function that could potentially save your life. If a drivers for example blacks out at the wheel, the sensors of the Emergency Assist system kick in and take over, where it will warn other road users and automatically steer to the nearside lae and stop. To make the system work it combines Adaptive Crusie Control, Side Assists, Lane Assist and Park Assist. These systems can all also be used separately and will be available alongside Predictive cornering lights with predictive control, Proactive occupant protection system and Sign Assist. 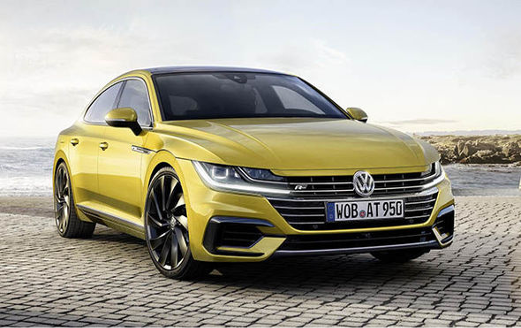 Volkswagen Arteon is a premium class model in the VW range that sits above the VW Passat. It shares the same platform, engines, chassis and interior as the Passat but has more dynamic styling and power. The five-door gran turismo is however bigger than its younger sibling sitting at 862mm in length, 1871mm in width and 1427mm in height. Volkswagen says that Arteon combines the design elements of a sports car and elegance and space of a fastback. Its standard LED headlights merge with the radiator grille and narrowed bonnet, reminiscent of a sports car, to form a compact and muscular front-end. When it goes on sae it will set its sights on the BMW 4 Series and Audi A5 and even Vauxhall Insignia Grand Sport. Klaus Bischoff, Volkswagen Head of Design: "The Arteon combines the design elements of a classic sports car with the elegance and space of a fastback. "An avant-garde business-class gran turismo, it speaks to the heart and the head alike." Given its fastback proportions, it has relatively good practicality too, and its flexible luggage compartment has a volume of 563 expandable to 1,557 litres when the seats are folded. There are six turbocharged engines (TSI und TDI) available on the Arteon when it goes on sale offering a power output range from 110 kW/150 PS to 1206 kW/280 PS. Optional digital instruments including the dynamic Active Info Display (AID), a driver head-up display and 9.2-inch infotainment system with gesture control (Discover Pro) can all be customised. The AID provides digital information directly into the driver’s cockpit, for example the reversing camera, speed, rev counter or navigation. There are two trim options to personalise the Arteon - the ”Elegance" and "R-Line.” The Elegance focuses on luxury and comfort whilst the R-Line is the sportier option. Prices for the Arteon are expected to be in the region of £30,000 when it goes on sale in the UK later this year. In Germany, range topping variants are already on sale - the 276bhp 2.0-litre TSI Arteon is priced at the equivalent of £43,000.